csdailyblogA stock-market ‘tipping point’ has been reached, according to Morgan Stanley. Morgan Stanley says surging bond yields could spark a shift in US allocations towards value stocks from their high-flying growth counterparts. It favours energy, utilities, and financials over tech and consumer discretionary stocks. Morgan Stanley also thinks a bear-market correction could arrive in 2019, sooner than markets expect. And as a result, it says the relative advantage of growth stocks compared with value stocks – a dynamic in play for the past 10 years – could be coming to an end. That’s a significant shift because growth stocks have been a crucial driving force behind the continued strength of that 9-1/2-year bull market. Attractive because of their high potential for future returns, growth names like Facebook,Amazon,Netflix, and Alphabet have been downright dominant. The fact that these stocks are starting to falter is a glaring late-cycle signal for Morgan Stanley, which sees a rotation into unloved names playing out. 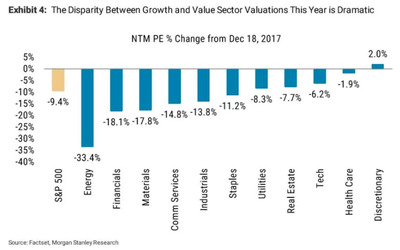 The firm surmises that value stocks – or those seen trading at a low price relative to earnings fundamentals – are set for a comeback against their high-growth peers. Morgan Stanley’s thesis is tied back to last week’s spike in US bond yields, which has given rise to a broad sell-off across global stock markets. 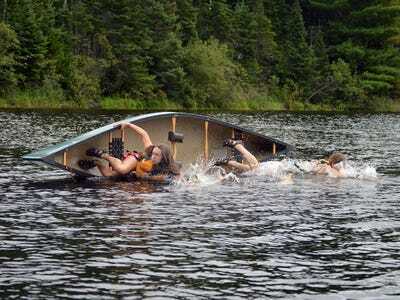 The analysts expect those bond yields to rise further as the Federal Reserve sticks to its interest-rate-hiking path. 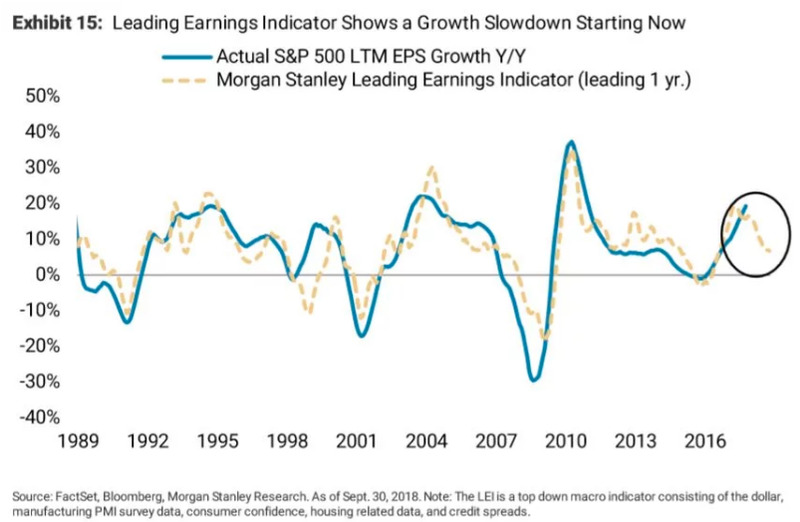 The resulting moves will bring “end-of-cycle risks into focus” while also “capping equity market valuations,” Morgan Stanley said. 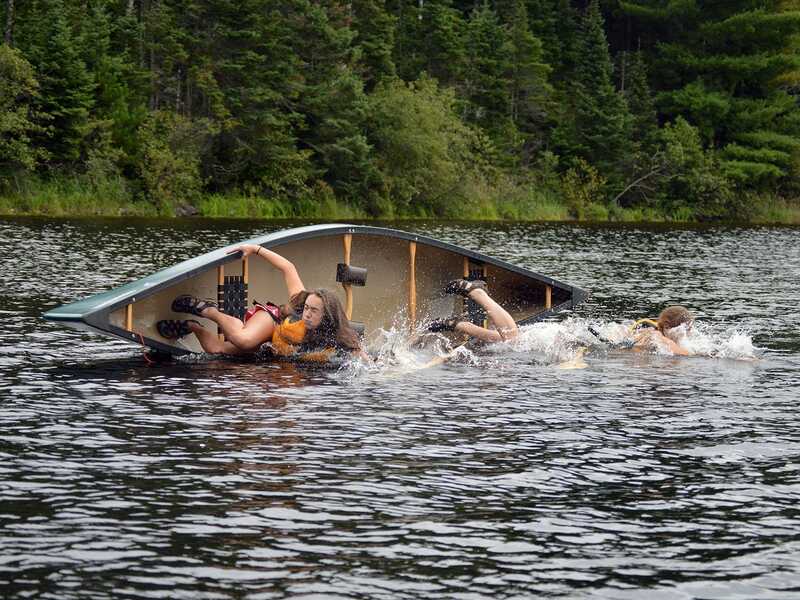 This is a potentially disastrous situation, considering the US economy is running hot after years of monetary stimulus and a boost from the Trump administration’s tax cuts. As rates rise and yields climb, that economic growth will be slowed and serious pressure will be placed on the future earnings of market leaders. And since Morgan Stanley says yields still have further to spike, this dynamic is likely to get more perilous as time progresses. 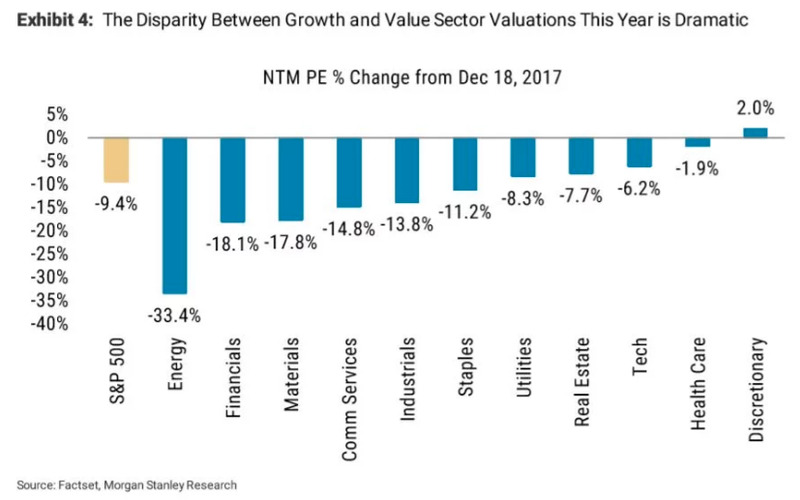 The chart below shows just how appealing value stocks have become compared to their growth peers this year. 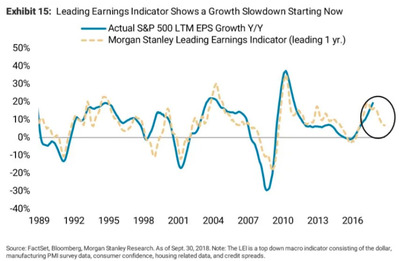 Morgan Stanley expects the laggards to catch up. “The good news is that tech has started to correct in the past month, leaving discretionary and health care as the real outliers now,” the equities team said. And that trend is likely to consolidate as more fund managers rebalance their portfolios away from growth sectors. “We suspect other asset allocators who have remained overweight US growth equities may now be forced to consider making a switch,” the firm said. By sector, the analysts now favour energy, utilities, and financials over tech and discretionary stocks. Utilities, which offer a steady return similar to bonds, may look like an odd choice in an era of rising rates, but Morgan Stanley said more defensive stocks might prove their worth once the US economy starts to slow – and that could happen faster than markets expect. It said US growth was likely to be interrupted by a cyclical bear market as soon as next year, once the boost from President Donald Trump’s tax cuts wears off. “Our concern lies with the fact that 2019 consensus forecasts do not anticipate such a dynamic at all,” the analysts said. As a result, the analysts are more sceptical than the broader market and expect the S&P 500 to remain range-bound between 2,400 and 3,000 for the rest of this year.